With domestic energy production on the rise, frac sand demand is climbing accordingly. Black Mountain Sand is poised to help meet this demand with mining capacity equaling 17 million annual tons, which equates to over 800,000 truckloads worth of sand per year. 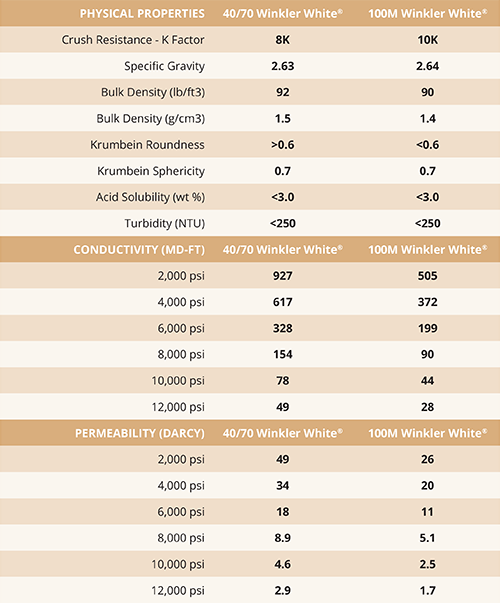 Our Winkler White® meets the API standards for fracing with a K factor resistance comparable to Northern White sand. Because Winkler County is in the heart of the Permian Basin, we deliver significant cost savings by eliminating the need to ship sand by train from northern mines, or by truck from central Texas. Current estimates indicate using in-basin sand could reduce the total cost of drilling and completing a well upwards of 10 percent. Click here for safety data sheets. 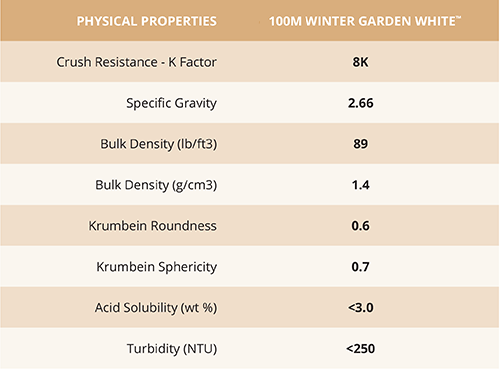 Our Winter Garden White™ meets or exceeds the API standards for fracing. Our proven K factor resistance enables for high pressure pumping without compromising the integrity of the sand. This high-quality proppant meets the rigorous demands of the industry and allows our frac sand customers to focus on their core competency – hydrocarbon production. Using in-basin sand can reduce the total cost of drilling and completing a well and increase the return on investment. 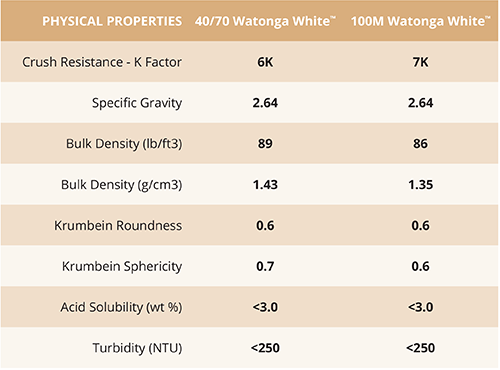 Because of this location in the SCOOP/STACK Shale, our Watonga White™ delivers upwards of 35 percent in savings in proppant costs per well by eliminating the logistical challenges of shipping sand by rail from northern mines, or by truck. Learn more by clicking here.